In the wake of a terrorist attack that claimed the lives of 13 soldiers in the central province of Kayseri on Saturday, Turkey’s Justice Minister Bekir Bozdağ urged Turkish citizens not to hesitate to become martyrs in protecting “their country, religion and the Turkish nation” against terrorist activities. 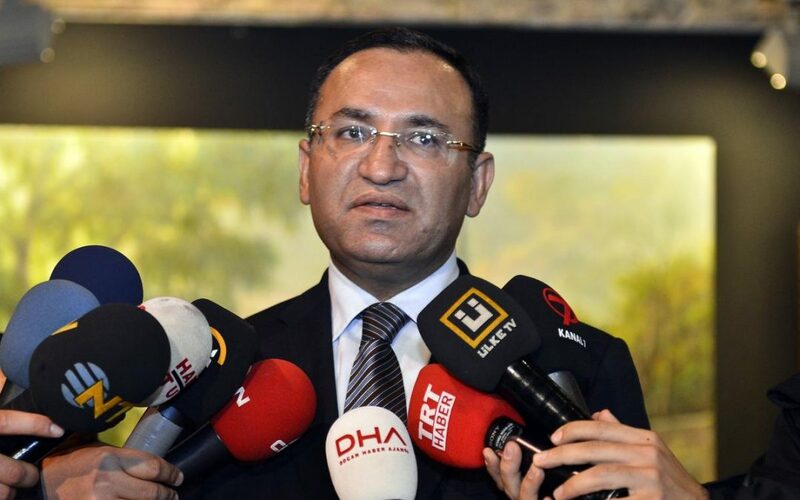 Speaking to Turkish media in the aftermath of the attacks, Bozdağ said Turkey would continue to put up a fight against the Kurdistan Workers’ Party (PKK). “[The citizens of] this precious nation have never hesitated to die to protect their county, religion, flag and nation, and they will continue to not hesitate to become martyrs whenever necessary. I curse the heinous attack in Kayseri. No such attacks will succeed in weakening our fight against terrorism. Turkey will pursue its fight to the end,” Bozdağ said.